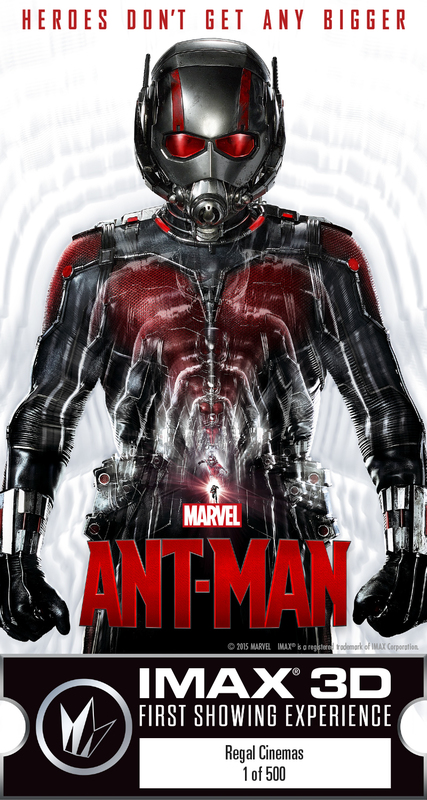 Our IMAX® exclusive art for Ant-Man is here! When you see Ant-Man in IMAX® 3D at Regal Cinemas you can bring home this limited edition Ant-Man collectible ticket. 500 tickets will be available at first shows and are numbered along with your theatre location. Please note tickets are only available at select theatres while supplies last. Check with your local theatres for more details!